Both sexes fully winged. Body, legs and antennae light brown, tarsi and basal half of antennal segment III distinctly paler than II; fore wings shaded with base slightly paler. 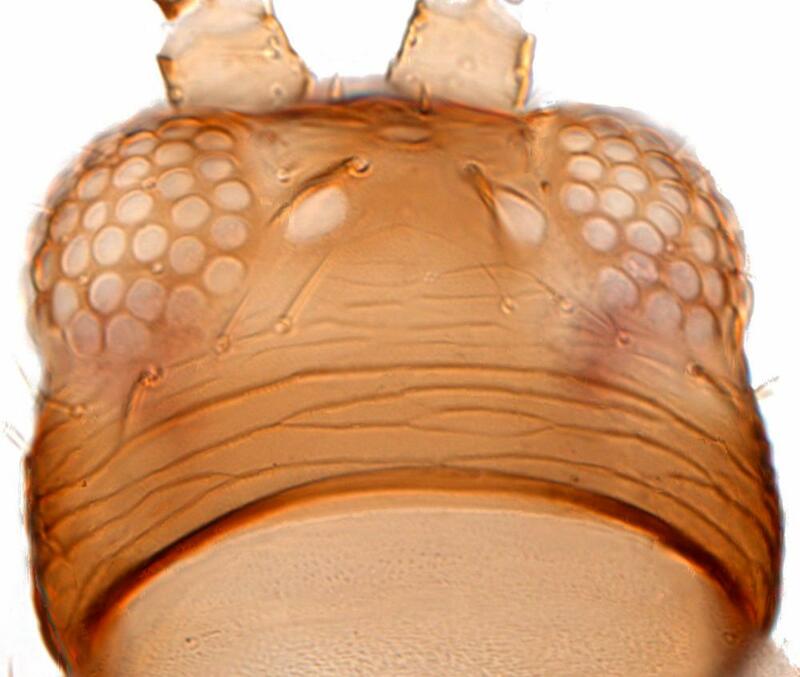 Head slightly wider than long, 3 pairs of ocellar setae present, pair III longer than, and arising on, lateral margins of ocellar triangle; postocular setae no longer than diameter of a posterior ocellus. 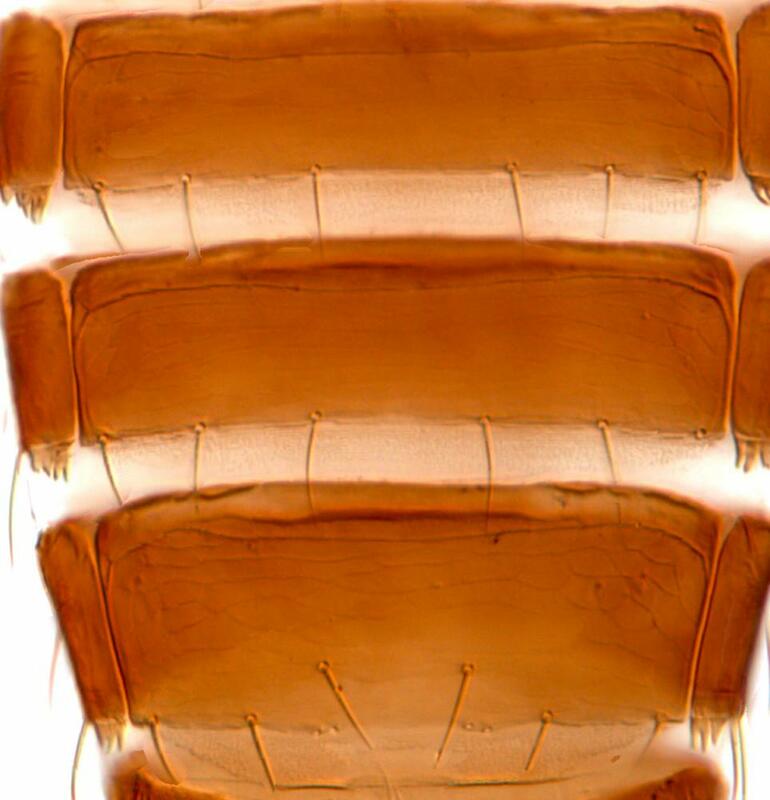 Pronotum with 2 pairs of posteroangular setae, inner longer than outer. Metanotum weakly reticulate, median setae longer than lateral pair, at anterior margin, paired campaniform sensilla present or absent medially. Fore wing first vein with about 8 setae on distal half, second vein with 14 setae. Abdominal tergites with no sculpture medially, without ctenidia; tergite VIII with long regular marginal comb. 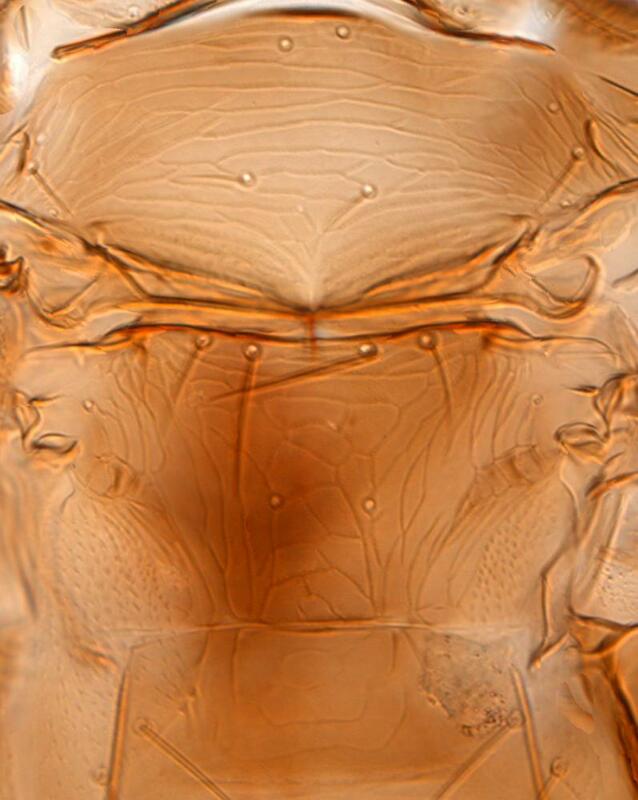 Sternites without discal setae; sternite VII setae S2 arising either at margin or in front of margin. 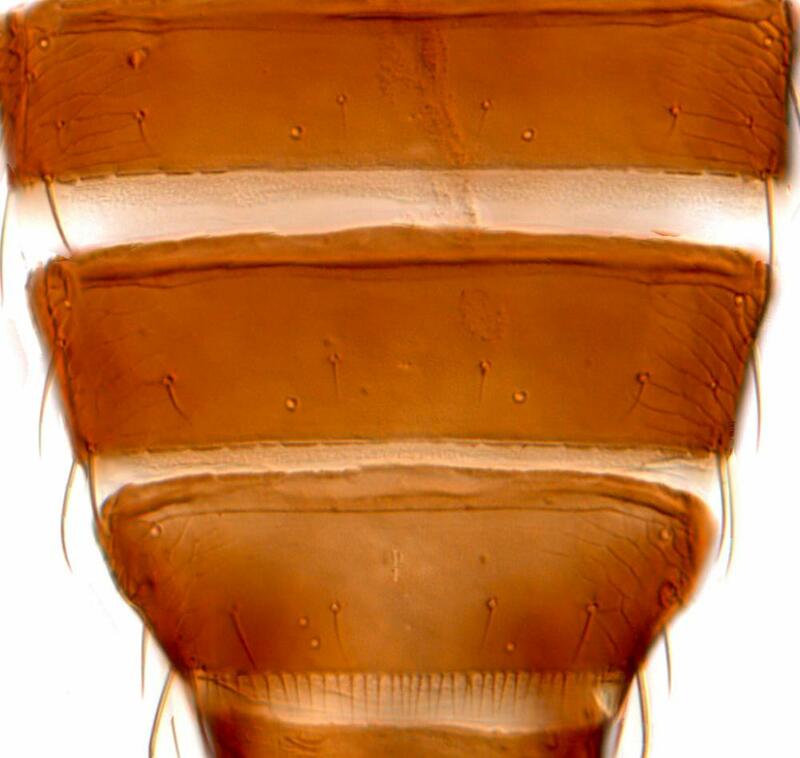 Male smaller than female; tergite IX with pair of lateral marginal setae apparently short and stout; sternites III–VII with small oval pore plate. 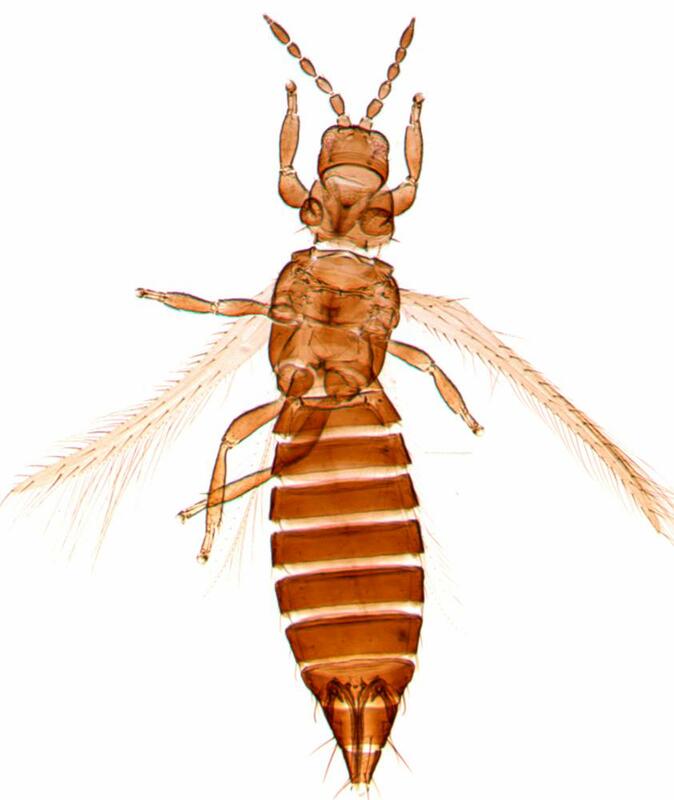 The genus Ewartithrips was proposed for six species from California (Nakahara, 1996), although separation of this from the Mediterranean genus Tenothrips has been questioned (Bhatti, 2003). Paratypes of E. californicus Nakahara have been studied, and contrary to the original description two paratype females have one of the setae S2 on sternite VII arising on the posterior margin. Moreover, one paratype male has the tergite IX median pair of setae arising medially, not at the posterior margin as illustrated in the original description. That description seems to be based on individuals with the posterior margin of tergite IX slightly distorted. 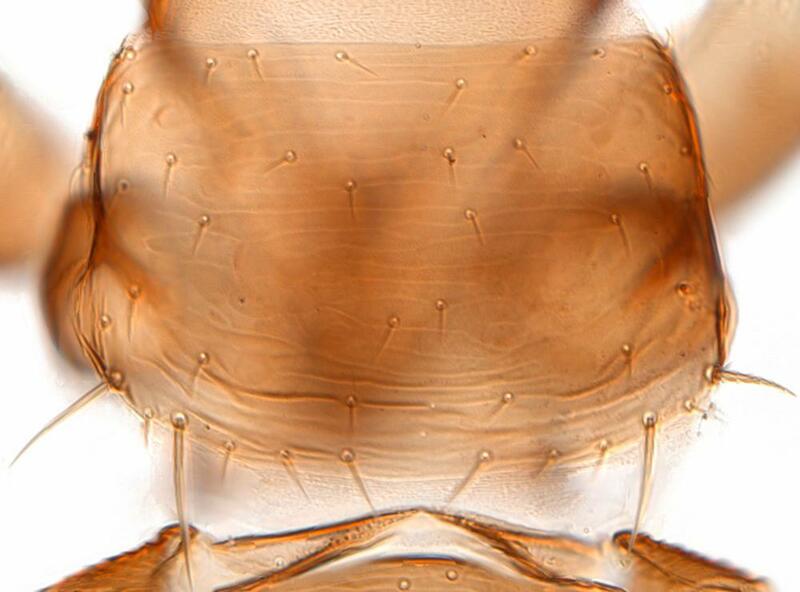 Thus, it seems possible that E. californicus may prove to be merely a variant of E. ehrhornii. Collected from plants in several families, including Ceanothus (Rhamnaceae), Atriplex (Chenopodiaceae), and Baccharis (Asteraceae).